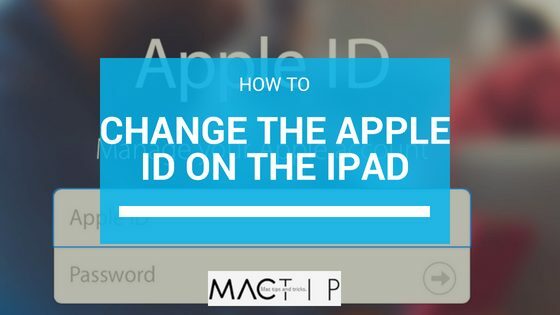 Your Apple ID is a crucial component of most of the systems and services you’ll be regularly using with an iPad, or any iOS system really. It synchronizes system settings between devices, stores payment information, lets you access FaceTime from non-Apple devices, and quite a lot more. It’s important to understand what it is, and how to change it if you need to. Let’s say you’ve just received a new iPad from a friend. Getting all the settings and information the same as yours, manually, would take an extraordinary amount of either memory, preparation, or cross-referencing. Or what if you’re loaning out a device and don’t want your credit card information on it? Or maybe you just need different settings for different parts of your life. Whatever the situation, you’ll likely need to change and create new IDs on your devices at some point. The process is something a lot of people struggle to understand on their own, but it’s actually quite simple. Let’s take a look at how it works on the iPad, shall we? Find and open the Settings app. Now, scroll down the left sidebar until you find “iTunes & App Stores,” unless you’re running an iPad operating system older than iOS 6, in which case it will simply be labeled “Store.” Tap on that and the iTunes & App Stores screen should appear in the main window on the right. There will be a bar on top that says “Apple ID” followed by your current username. Tap that and a menu will pop up. “Sign Out” is the option you want to press. 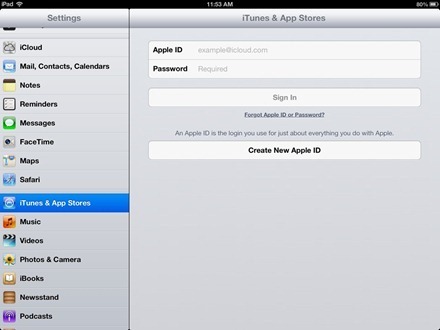 Now you’ll be returned to the iTunes & App Stores screen, but the Apple ID and Password areas will be empty. If you’re changing your current ID, fill in the blanks and sign in. As you might have guessed, tapping the “Create New Apple ID” will lead you through the steps to make a new ID for yourself. And it’s just that simple. 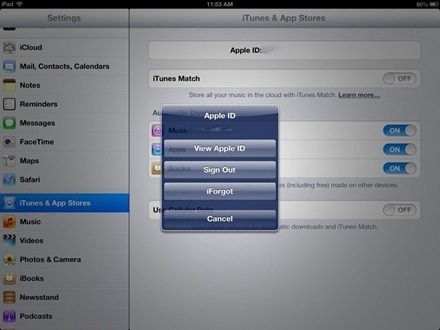 If you have multiple IDs you can also sign in and out of them in the App Store. Find the Apple ID bar in the Featured area, it should be close to the bottom, and tap it to bring up the option to sign out. Once you’ve done that, you can sign in again the same way. Remember though, there’s no way to merge your IDs, so if you decide to have more than one, be careful about what you assign to each of them. Making heavy use of this system can offer a world of convenience, or a nightmare of hassle if you mishandle it. If you don’t like to fiddle with lots of settings and data, or only have one or two devices, you’re likely best off setting everything to a single ID. But, with careful planning and management, you can hand-tailor your Apple experience to as many different situations and devices as you can imagine. Either way, understanding this system will save you a lot of time and headache. Why WhatsApp, Kik, or LINE Messenger App Aren’t Available on App Store for iPad?